The Ira A. Fulton Schools of Engineering 2010 Academic Bowl teams are hoping to reclaim the title won by engineering students in the first Arizona State University Academic Bowl competition in 2006. 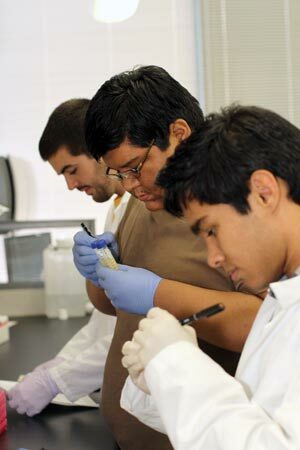 The engineering schools will enter two squads – a Gold team and a Maroon team – in the event. Opening rounds will be from 4 to 6 p.m. and 7 to 9 pm. Oct. 4 in the Pima Auditorium of the Memorial Union on ASU’s Tempe campus. 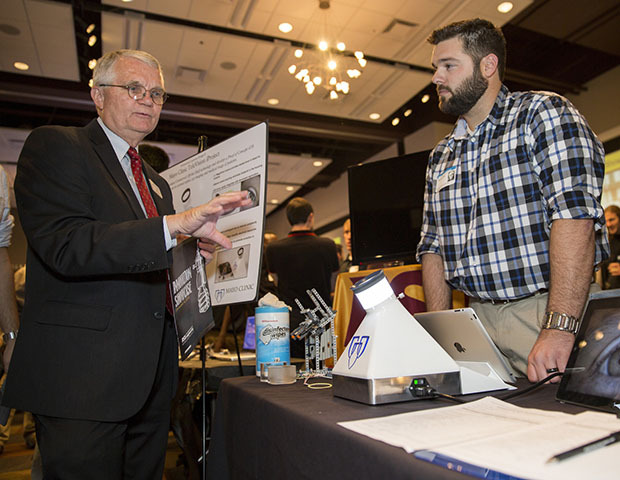 The Engineering Gold team goes up against the College of Technology and Innovation Oct. 4 at 4 p.m. in the Pima Room of the Memorial Union. The Engineering Maroon team will face the College of Liberal Arts and Sciences Gold team Oct. 5 at 4 p.m. in the same location. Semi-final and final rounds will be Oct. 7 at 7 p.m. and will be taped at the KAET-Channel 8 studios on ASU Downtown Campus for later broadcasts. The Academic Bowl is a question-and answer-game played between teams from various schools within ASU. 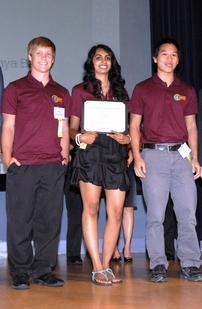 The winning team is awarded $24,000 scholarship funds to be split among team members. Additional cash prizes of $10,000 and $5,000, respectively, will be awarded to the second-place and third-place teams. • Lauren AlLee, senior, chemical engineering. The rounds of competition pit two teams of four players each against each other (each team has a fifth member as an alternate). Each game is 15 minutes long. Points are scored by correctly answering questions asked by a moderator. There are also two types of questions: toss-ups worth 10 points each and bonus questions worth 20 to 30 points each. Teams from the College of Liberal Arts and Sciences have won the Academic Bowl title for the past three years. “If we want to make it through to the finals we’ll have to get through them,” Lenhardt says.